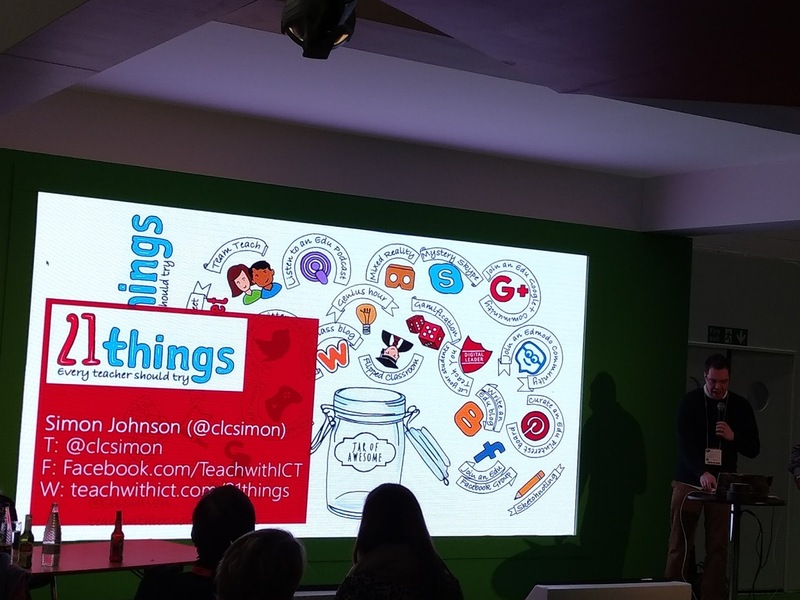 Last night at TeachMeet BETT Simon Johnson gave a great little talk about 21 Things Every Teacher Should Try. He didn’t cover all 21 things in the talk (he only had seven minutes to talk), but one of the things that he did talk about was game-based learning. The example that he gave was gamifiying writing instruction. In Simon’s example of gamifying writing instruction he shared a grid in which students were given points based on the type and complexity of the words that they used in their writing. For example, students might earn five points for correctly using an adverb. Or they could earn could earn points for correctly using words from a vocabulary list. Generally, I tend to think about “gamification” as a kind of a gimmick. That said, I can see it being beneficial to some students in the right context. For students who have a generally negative view of school and have become accustomed to grading practices that detract points for not doing something, a gamification of writing could feel better. Rather than seeing that they didn’t use “x” number of vocabulary words correctly they could see it as “I scored 500 points” for using “x” number of words correctly.